2-in-1: maximally moisturizing treatment + protection. Can be used on dry or damp hair before blow-drying - light styling effect helps with styling. 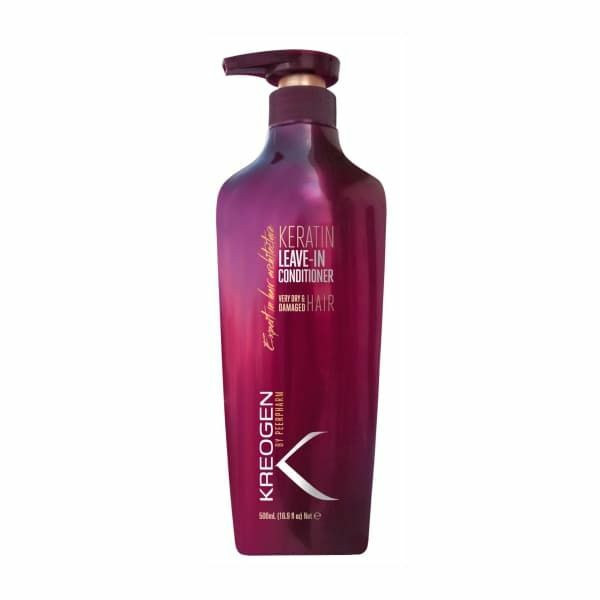 Protects hair from high temperatures, UV rays and repeated dyeing and drying. A combination of valuable vitamins reinforces the hair. Active ingredients: keratin, shea butter, argan and jojoba oil, vitamin E and B5. Massage some conditioner between hands and apply to hair evenly. Can be used on dry or wet hair. Do not rinse. Water (Aqua), Isopropyl Myristate, Glycerin, Cyclopentasiloxane, Dimethicone, Cetearyl Alcohol, Cetearyl Alcohol & Ceteareth-33, Argania Spinosa (Argan) Oil, Simmondsia Chinensis (Jojoba) Oil, Behentrimonium Chloride, Polyquaternium-11, Butyrospermum Parkii (Shea) Butter, Dipentaerythrityl Pentaisononanoate, Fragrance, Panthenol (Pro-vit. B5), Hydrolyzed Keratin, Dehydroxyacetic Acid & Benzoic Acid & Phenoxyethanol, DMDM Hydantoin, Polyquaternium-10, Guar Hydroxypropyltrimonium Chloride, Tocopherol (Vit. E).